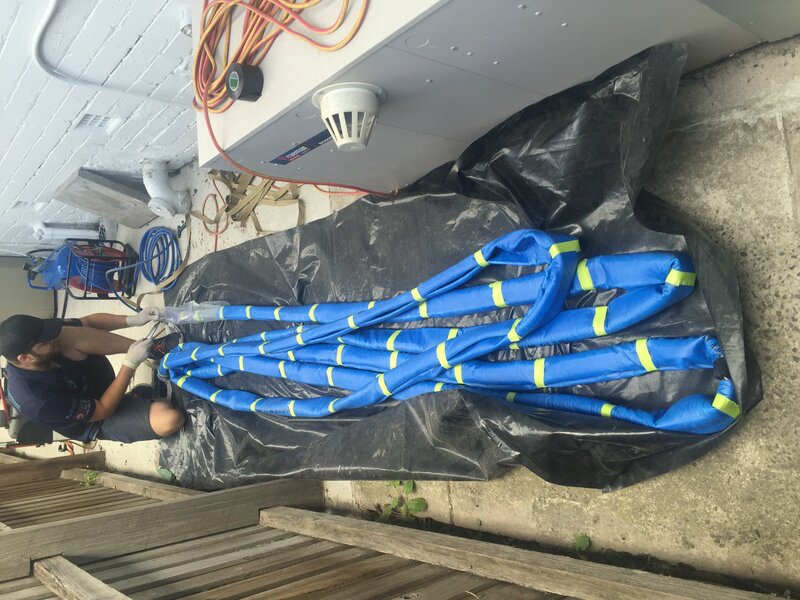 We recently completed a Pipe Lining installation to a section of earthenware (Clay) sewer drain at one of Melbourne Grammar School’s Grimwade Campus residence in Caulfield that had just been renovated. The drain had various tree root intrusions and breaks in the main sewer drain to be relined as excavating and replacing the drain in PVC would mean ripping up concrete and landscaping with brick garden beds and established trees and shrubs. Drain Relining was the most effective way of a permanent repair to the blocked drain. We had unblocked this drain several times in the past with our high pressure water jetter, before the school decided to go ahead with the pipe lining repairs when the property was being renovated. We used our In Pipe Drain Camera to inspect the drain and measure the section of drain to be relined which was a 16m pipe lining patch. 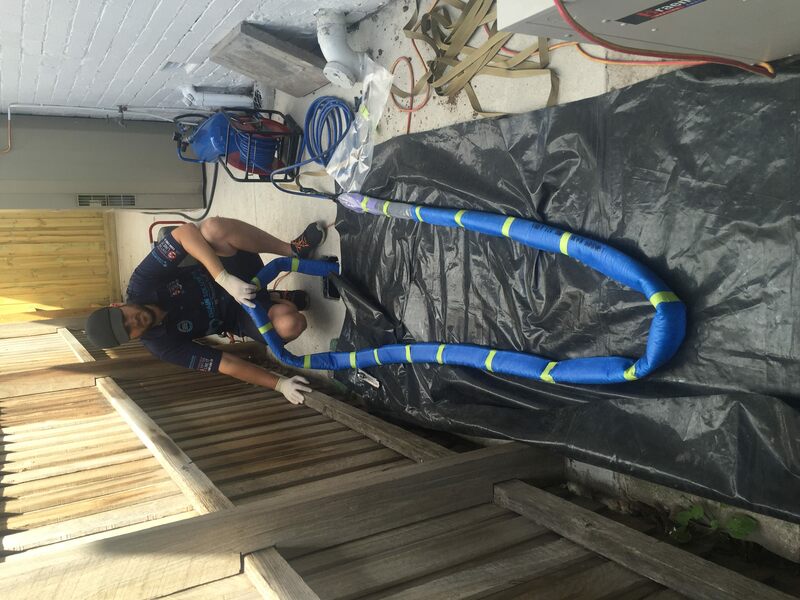 All of our liners and bladders used in our drain relining repairs are custom made to suit each job. The bladder and liner were prepared leading up to the day of install, allowing for a less intrusive job on the day. After cleaning the drain on the day using our High Pressure Water Jet, we impregnated the liner with our 2 part epoxy resin, and then installed the pipe liner into the drain on our bladder. Once the liner was cured, our bladder was removed from the drain leaving a smooth, one-piece liner in the drain.